Tea, coffee and scones, a photo by PhylB on Flickr. Last weekend our cousin came from Denmark to stay. 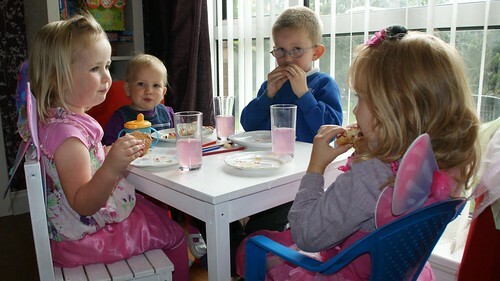 We had fun dressing up together and eating at our own special table. We had a picnic on the beach and ate lots of raspberries in our garden.We are sad that we don't see her more often.